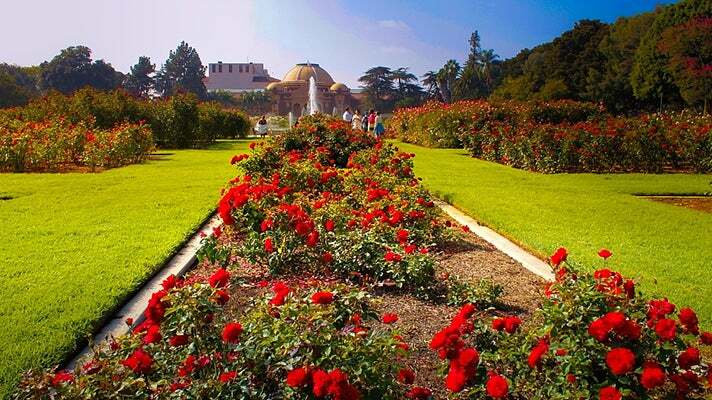 See some of the best sites in and around Exposition Park and USC on foot, including the Natural History Museum and the LA Coliseum. To begin this walking tour, park the car in Exposition Park Lot 3, located on the west side of Menlo Avenue just south of Exposition and east of Vermont. To get there, take the Exposition exit off the Harbor Freeway (I-110) and head west, or take the F DASH south from the 7th Street/Metro Center station. 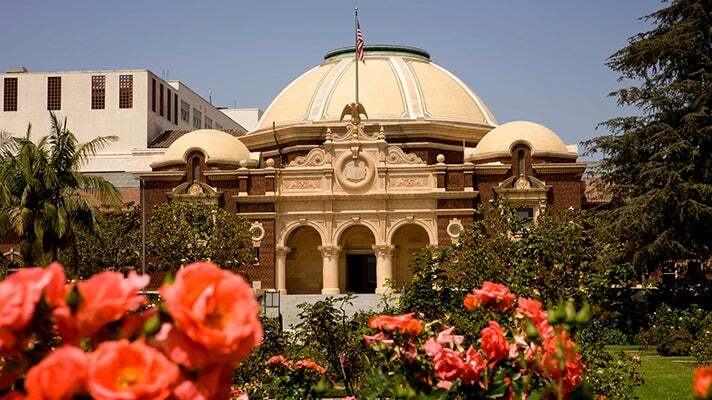 The first stop is the Natural History Museum of Los Angeles County. An extensive collection of more than 35 million specimens in this cultural institution covers 4.5 billion years of history. The 14,000-square-foot Dinosaur Hall is twice the size of the museum’s old dinosaur galleries. It rivals the world’s leading dinosaur halls for the number of individual fossils displayed, the size and spectacular character of the major mounts, including the world’s only Tyrannosaurus rex growth series. Spend as much time as you can here, but save some energy for the rest of the tour. After the museum, rest up in the Rose Garden, a quiet little oasis located on the east end of the museum. The garden is often used as a site for weddings and other special events. The California Science Center is next. 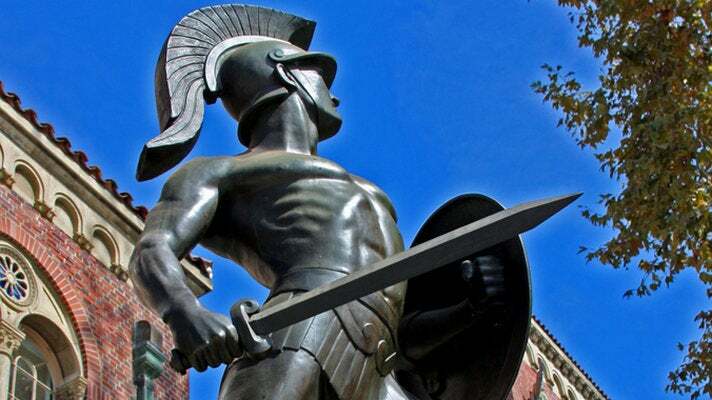 Located south of the Rose Garden, this venerable institution includes an IMAX theatre, the Air & Space Gallery and the Science Center itself. 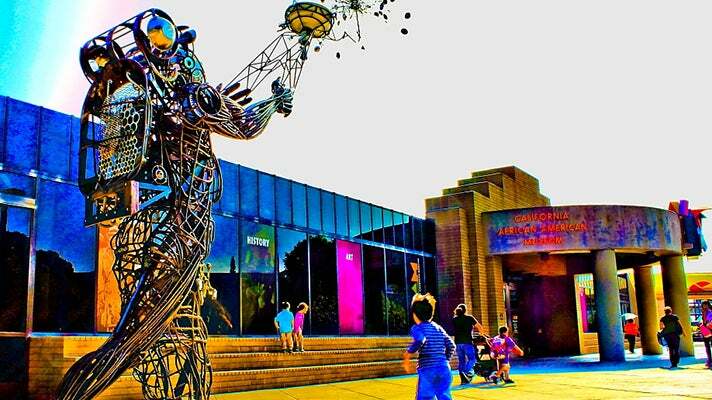 If you’re traveling with kids, this is a great place to let them interact with some hands-on exhibits and learn while they explore. The Space Shuttle Endeavour exhibit opened in its permanent home here October 30, 2012. Continue to head east through Exposition Park toward Figueroa Street. You’ll see the California African American Museum just south of the Air & Space Gallery. 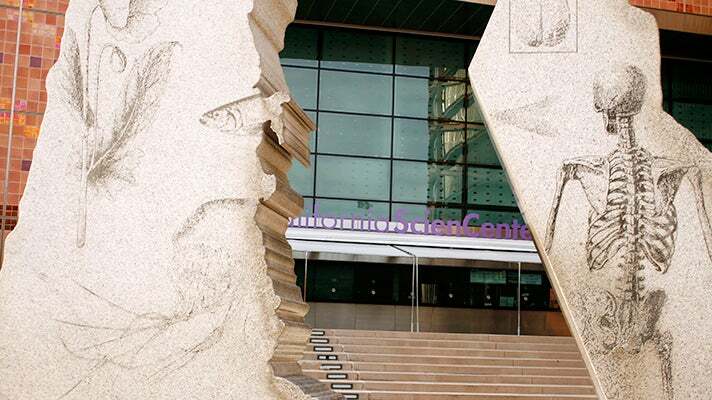 Presenting the history and culture of African Americans, the museum has extensive programs, as well as a sculpture court and a conference center. 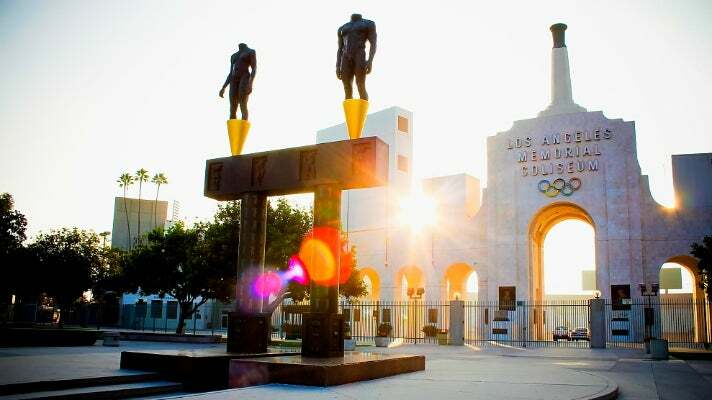 If you’ve still got some walk left in those legs, head to the landmark Los Angeles Memorial Coliseum and Sports Arena, home of the 1932 and 1984 Summer Olympics, as well as the USC Trojans football team.